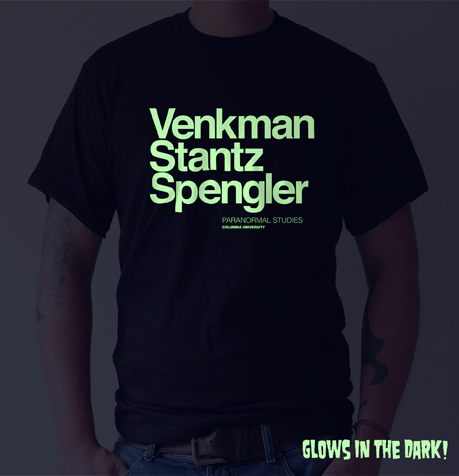 A brand new design to the Last Exit to Nowhere range is this glow in the dark screen print on a regular fit, 100% ultra cotton black t-shirt. Inspired by the Columbia University Paranormal Studies team in the first part of the film Ghost Busters. (The reason Ernie Hudson’s character Winston Zeddemore isn’t featured in this particular design is because he joined the team after they had left University when Ghost Busters was already established).